Dr. Oommen has done research in the general areas of Artificial Intelligence for more than 40 years. In the fields of Stochastic Learning and Learning Automata (LA), he has pioneered the field of Discretized LA. Some of the fastest and most accurate LA are due to the work done by him and his co-authors. Research in these fields earned him his elevation to be a Fellow of the IEEE. In the area of Statistical Pattern Recognition (PR) he has pioneered the theory and applications of the so-called Anti-Bayesian paradigm of PR. Together with his co-authors, he also introduced the science and art of Chaotic PR. His work in using Dependence Trees to achieve PR is also well recorded. In the area of Syntactic PR, his award-winning algorithm has attained the optimal and information theoretic bound, and this earned him his elevation to be a Fellow of the IAPR. Within the field of Neural Networks (NNs), he has worked extensively with the Kohonen’s NN, and has demonstrated how one can merge the structure of the NN and its topology. Besides these, he has also worked in the general fields of AI, intelligent game playing, and LA-based data compression. Dr.Oommen received his Bachelor of Technology in Electrical Engineering at the Indian Institute of Technology in Madras, India in 1975. He then pursued his Master of Engineering degree at the Indian Institute of Science in Bangalore, India receiving his degree in 1977. At both these institutions, he won the medal as the best graduating student. He received a Master of Science degree in 1979, and a Ph.D. in Electrical Engineering in 1982, both from Purdue University, Indiana, USA. In 2003, Dr. Oommen was nominated as a FELLOW of the Institute of Electrical and Electronic Engineers (IEEE) for research on subfields of artificial intelligence. He was also nominated as a FELLOW of the International Association of Pattern Recognition (IAPR) in August 2006 for contributions to fundamental and applied problems in syntactic and statistical pattern recognition. He has served on the editorial board of the journals IEEE Transactions on Systems, Man and Cybernetics, and Pattern Recognition. 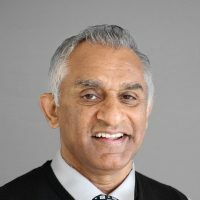 Dr. Oommen has been teaching in the School of Computer Science at Carleton University since 1981, and was appointed Chancellor’s Professor of Computer Science at Carleton University in 2006. Apart from publishing numerous award-winning papers, he has also won Carleton University’s Research Achievement Award four times, in 1995, 2001, 2007 and 2015.